We are about to start a Product Review Marathon! With the Holiday season coming up, we thought we would start reviewing iPhone and iPod touch accessories. Hopefully it will help you with some of your Christmas shopping! Below is a list (not a complete one) of some of the accessories we will be reviewing over the next month or so. We will keep you posted as we add more to the list. The first review, of the Dry Case, will be coming soon! PS. For those of you wondering (Nate and Alan) why we would take a vacation in Wisconsin (we were on vacation last week)… it is because there is this ten mile stretch of nothing but apple trees and orchards that I love to go to! We go in the fall because the drive is absolutely beautiful and the orchards are at their prime. 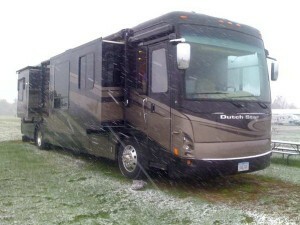 We did get snowed on this year which was crazy. Below is a pic (before it all melted). The only bad part about taking a vacation in the middle of nowhere is sketchy internet… it was terrible! A few days ago I got a few messages that we were mentioned on MacBreak weekly about our article explaining how to get MMS on the iPhone early. It’s pretty funny because they all rip on MMS and how no one uses it. Here’s a clip from the show. You can see the whole thing here. Yesterday, Doug received a tweet saying that our AppleiPhoneSchool email subscription was not working so he took a look at it and indeed it was not working. However, he fixed it last night and it is now working properly. We apologize to those of you who tried to sign up for our emails and were unable to. You can sign up to receive AppleiPhoneSchool’s emails using the sign-up on the right side bar of the website. Yesterday, I did the one thing that every iPhone and iPod touch user is convinced will never happen to them… I shattered my iPhone. Yep, my iPhone finally took that fatal fall. To be honest, I have dropped my iPhone on multiple occasions so, when it took a dive yesterday, I wasn’t too concerned. I picked it up, brushed it off and almost put it in my purse without looking at it. For some reason, I took a quick glance and to my horror the lower forth of my iPhone was completely shattered! Coming Soon: App Store Price: ?? For those of you who may not have noticed, our host has changed it’s name from Mosso to The Rackspace Cloud. Really, Mosso was always a company running via Rackspace. You can read more about the name change here. From everyone here at AppleiPhoneSchool.com….Happy Independence Day. We hope that you get to spend time celebrating with family and friends! A big thank you to the men and women who have fought (and still are fighting) for our great country. We love you guys and are praying for you. Doug and I took our boys to see fireworks last night and are going to hit-up some more tonight! Fun times. 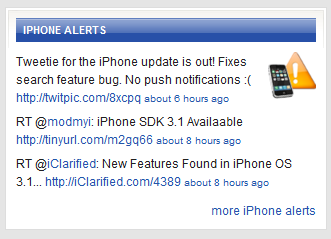 We have added a new iPhone Alerts Twitter feed to the right side of the website. Here you will see iPhone announcements, breaking news, sweet new apps…basically any new information about the iPhone or iPod Touch. The info is hand-picked and will be very up-to-date. You can view it on the side of our website or you can follow it on Twitter. Hi guys! I just updated our About page to include all of our writers and their Twitter accounts…check it out! We are adding yet another writer you the AppleiPhoneSchool team!! We are totally excited to add Justin (yes, another Justin) to the team! During the day, Justin spends his time as a professional photographer…seriously, how cool is that! He attended Des Moines Area Community College for one year before transferring to Hallmark Institute of Photography in Turner Falls, MA where he received a certificate of completion. Justin likes to spend his spare time playing guitar, shooting pics, playing Xbox and (of course) mastering his iPhone. 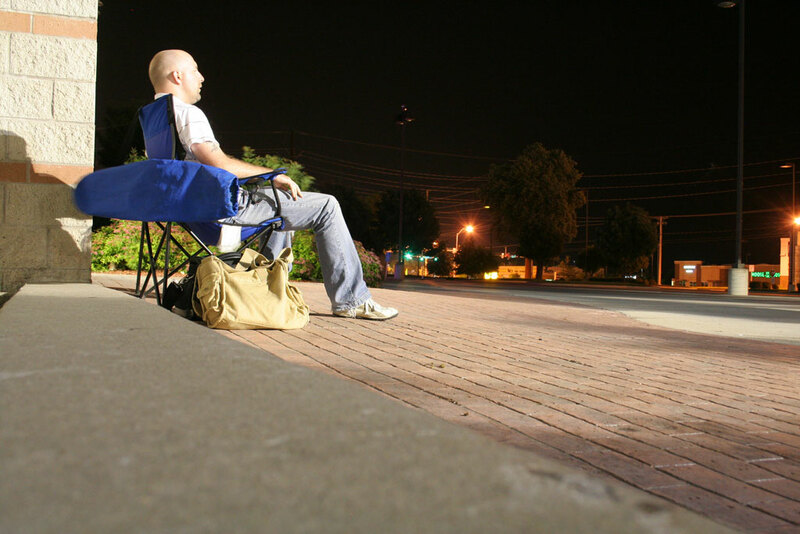 Speaking of which, Justin stood in line for an hour and half on July 11, 2008 in order to purchase his black 8GB iPhone 3G. If you haven’t noticed already, Doug made a few changes to the bottom of the website. He replaced the previous App Store info with more specific topics (such as Themes and Games). Personally, I like it better than the App Store info…take a look at it and let me know what you think. I just started testing firmware 3.0 tonight and I thought I’d share what I’ve noticed so far. I upgraded straight from a jailbroken 2.2 firmware. 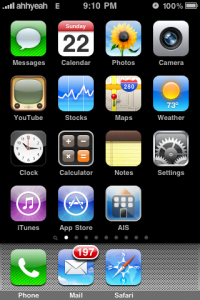 First, a few things stuck around like my carrier logo. I used MakeItMine to change it from AT&T to ahhyeah and it stuck. Another weird thing is the battery percentage shows up near my battery level. I used to have a hack that made it switch to numbers when tapped on, but now it is next to it and it has a % sign that wasn’t there before. Another huge thing for me was the Emoji keyboard. I was sad I was going to have to go without it, but it stayed too.